On a visit to my Aunt and Uncle�s in Eau Claire, Wisconsin. Those yellow city routes were something special, and I even recall that the yellow initially survived the switch to black-shaded squares. Unfortunately, standardization ultimately prevailed. 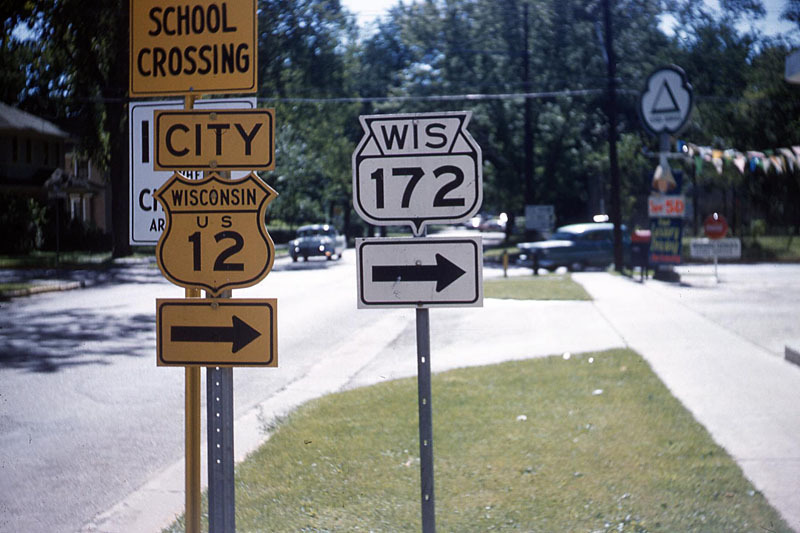 The Wis 172 is another gem, as it was decommissioned and later transferred to Green Bay. No numbered route ventures into downtown Eau Claire today. Photo by Jim Lindsay, 8/12/1959.